Adrienne Orbach comes to the practice of law with a Master’s degree in Social Work, which provides the foundation for her approach to her family law, estate planning, trusts and estates administration practice. Adrienne’s combined training places her and her clients in an advantageous position in litigation and at the negotiating table. Her unique background, along with her public speaking and community involvement, are integral to her practice and professional philosophy. She is a member of the Executive Committee of the Family Law Section of the New York State Bar Association and Co-chair of the LGBT Committee. She serves as Guardian, Court Evaluator and Guardian Ad Litem for the Supreme Court of Westchester County and Guardian Ad Litem in the Surrogate’s Court of Westchester and Bronx Counties. Adrienne was selected as a one of New York metro area Super Lawyers in the area of Family law 2015-2018. 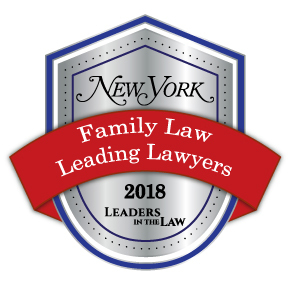 In addition to being named one of New York’s Leading Family Lawyers 2018 she was chosen in 2018 as one of New York Magazine’s New York’s Leading Lawyers. Adrienne was sworn in as a State Director for Westchester chapter of the Women’s Bar Association of the State of New York.